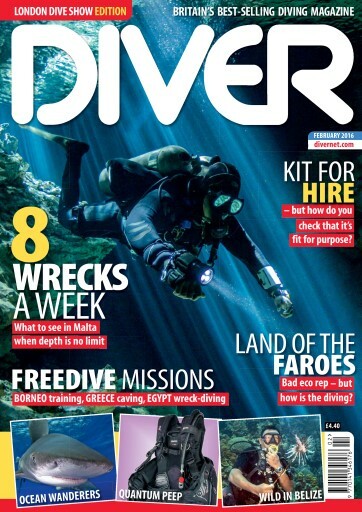 MALTESE WRECKS – Cath Bates undertakes her own wreck tour. BELIZE – It’s rough in Belize – but there’s always the Blue Hole. 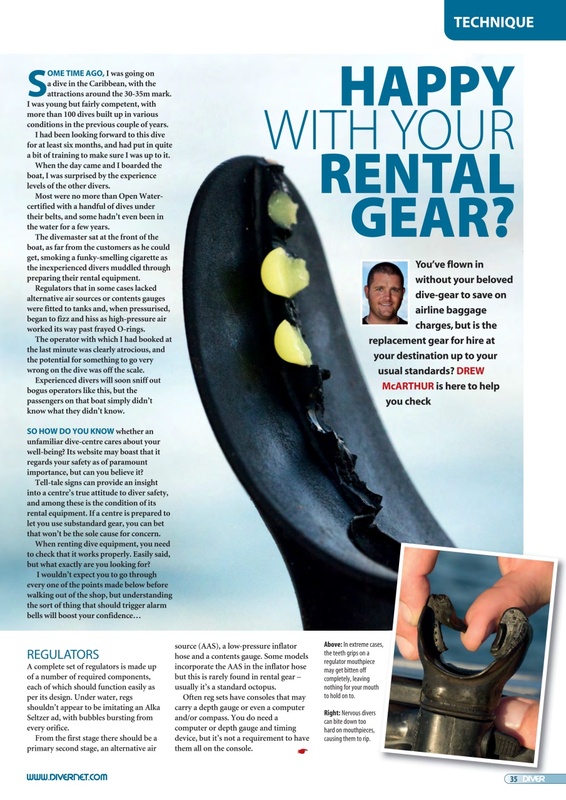 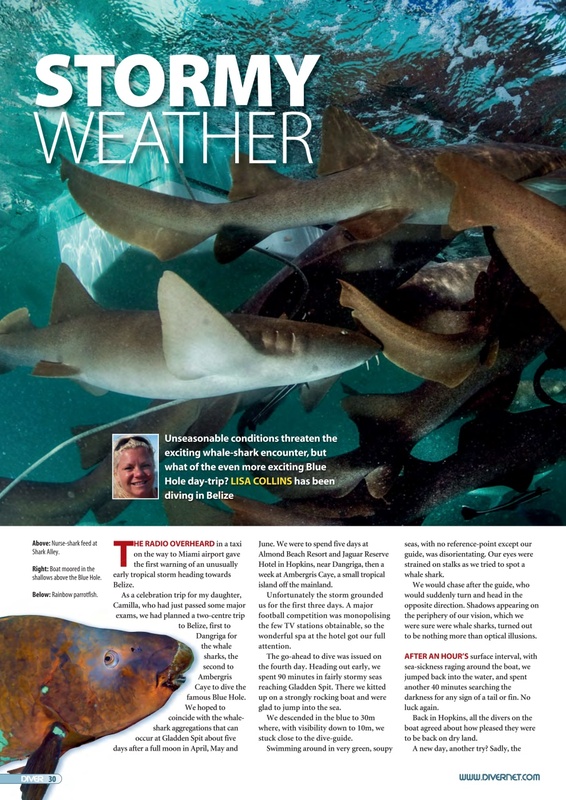 RENTAL GEAR – Know what to look out for with unfamiliar dive-kit. FREEDIVING – Our three-in-one freedive feature kicks off in Borneo… continues in overhead environments in Greece…and ends up on a breath-hold on the Thistlegorm! 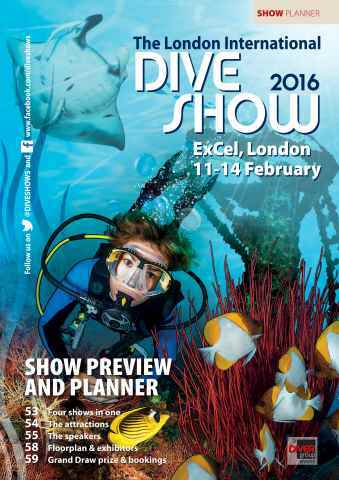 LIDS 2016 PLANNER – What to expect at the London International Dive Show. 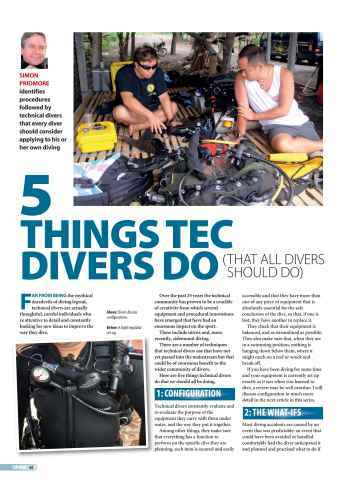 TEC TECHNIQUES – 5 things tec divers do…and that all divers should do, reckons Simon Pridmore. 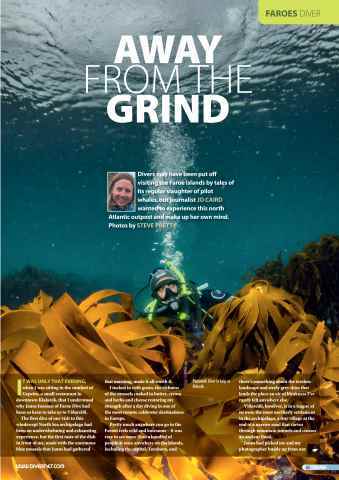 FAROES – What are the Faroe Islands like to dive? 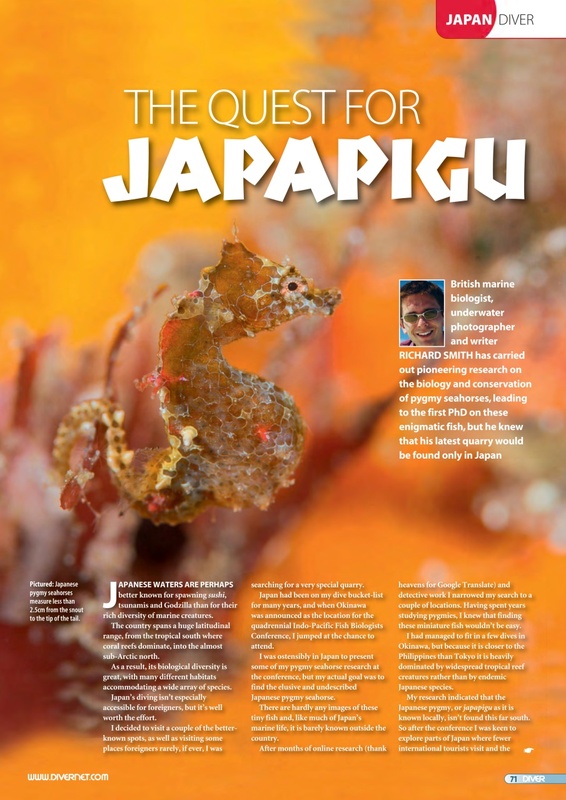 JAPANESE SEAHORSES – Hunting rare pygmy seahorses in Japan. 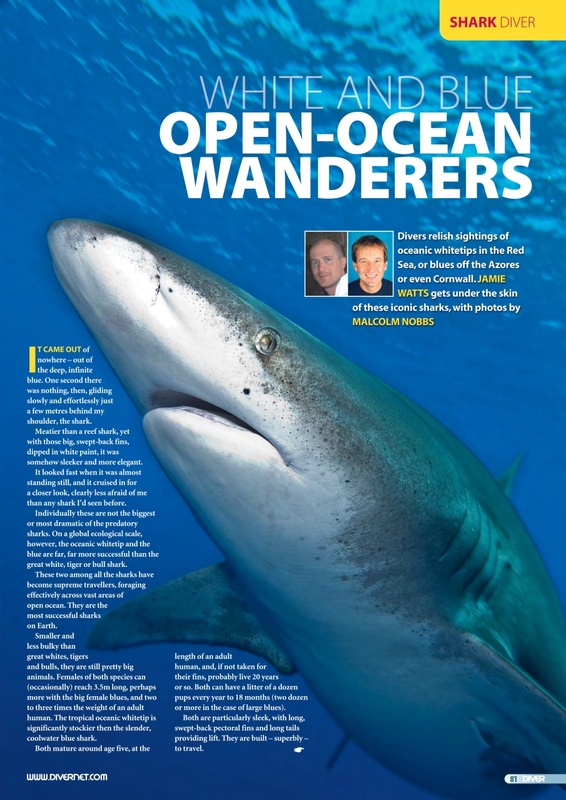 OPEN-OCEAN SHARKS – Divers’ choice – blue and oceanic whitetip sharks.